Amazon.com, long the king of online retail, might finally be ready to take on real-world retailers with a brick-and-mortar store. The store, which has been confirmed by unnamed sources close to the process, is reportedly opening its doors in Seattle sometime in the next few months and most definitely before the end of the year. The store, the sources tell Good E-Reader, would be a pilot. If successful it could lead to a chain of Amazon stores. Rather than being a high-inventory big-box retailer on a Target or Walmart scale, the Amazon store is said to be planned as a boutique carrying high-end, high-profit-margin items as well as the brand’s Kindle line and accessories. In a way, it would be a bit like the Apple stores one sees in every US shopping mall these days, with a few big-ticket goodies in other verticals, as well. 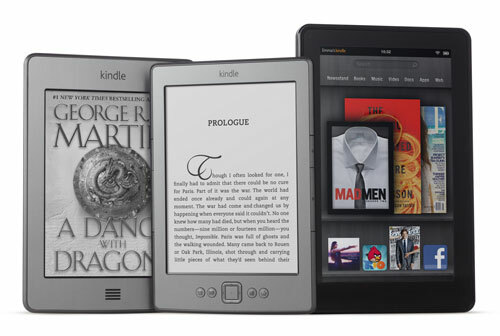 The sources said Amazon would also be selling physical books at the stores. We can see stores like this being popular additions to shopping centers, especially at airports, where bored and captive passengers would gladly throw down for a new book or a new book-reading, game-running gadget from a name they know.